You cannot turn on the TV these days without seeing the handsome Magic Mike XXL star, Channing Tatum, dancing across the screen in promotion of his newest film. 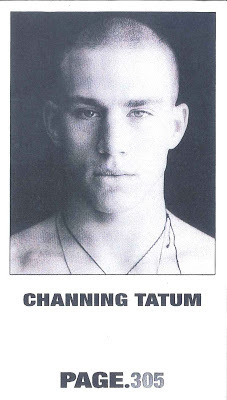 With the release of this blockbuster, Channing has risen even higher in stardom and adoration from his fans. Of course, we remember the days when he was just another boy looking to pursue his career as a model, and, like so many of you, he simply walked into the doorsof our Miami office and the rest is history! Make sure to check out the Page Parkes alumnus in Magic Mike XXL! You, too, should come visit us...who knows what could happen!